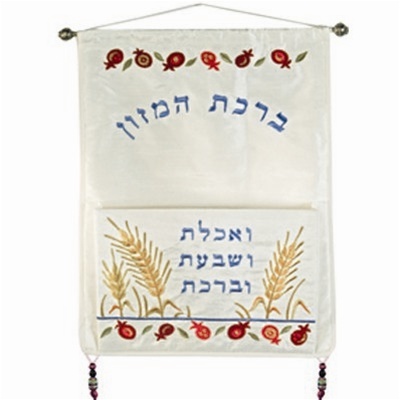 This adorable little wall hanging is made of raw silk with colorful embroidery. 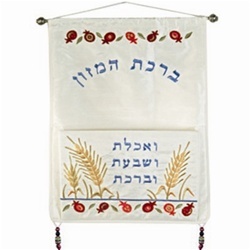 The pomegranate and wheat sheaves motif beautifully complement the biblical words of gratitude for abundance: "You shall eat and be satisfied and bless". A built in pouch is included for holding benchers. Delicate and colorful glass beads hang from the bottom. The top is fitted with a string for easy hanging.